I am missing those daisy days of summer! 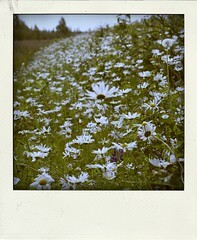 One of the many reasons I love Alaska is the wild daisies that grow everywhere in the summer. I would love to see that abundance of daisies – they are so simple and sweet. 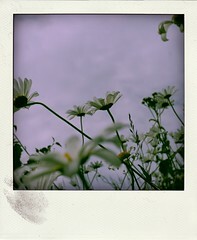 It just brings a smile to my face when I see the fields of daisies, makes me want to write a song. Too bad I can’t carry a tune, or write!